If you are looking for a pendant that will delight the senses, then this one is for you! 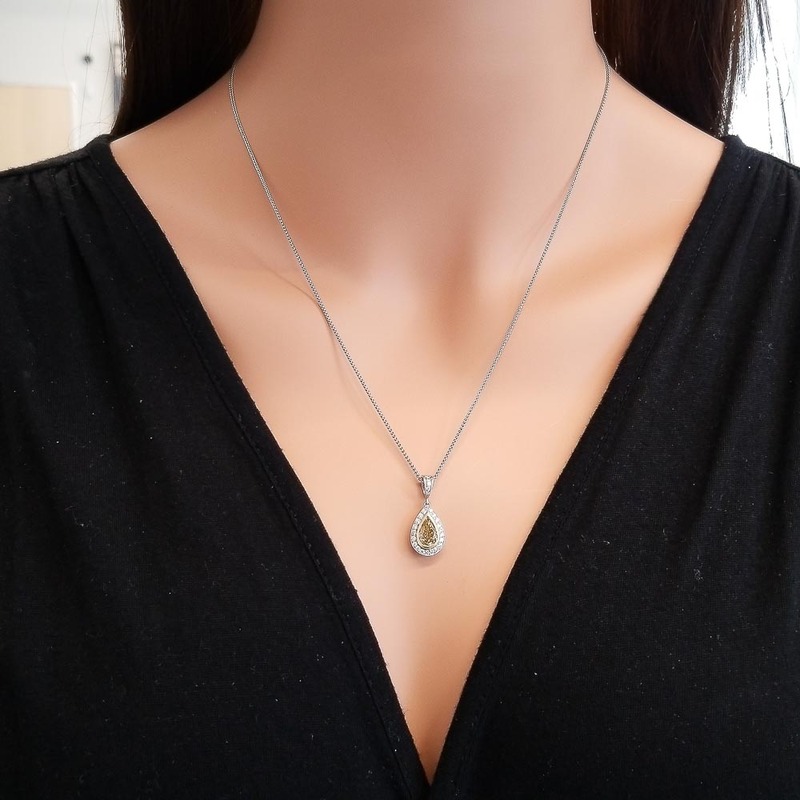 This elegant 18 karat white and yellow gold teardrop pendant is impossible not to notice. It features a 1.07 carat measuring 8.45 x 5.75 millimeter natural golden yellow pear-shaped diamond center. This striking stone is surrounded by a yellow gold bezel. The halo and bail are ablaze with 0.34 carat total weight white diamonds. This piece is magnificent in every way as it gracefully glides along a chain.